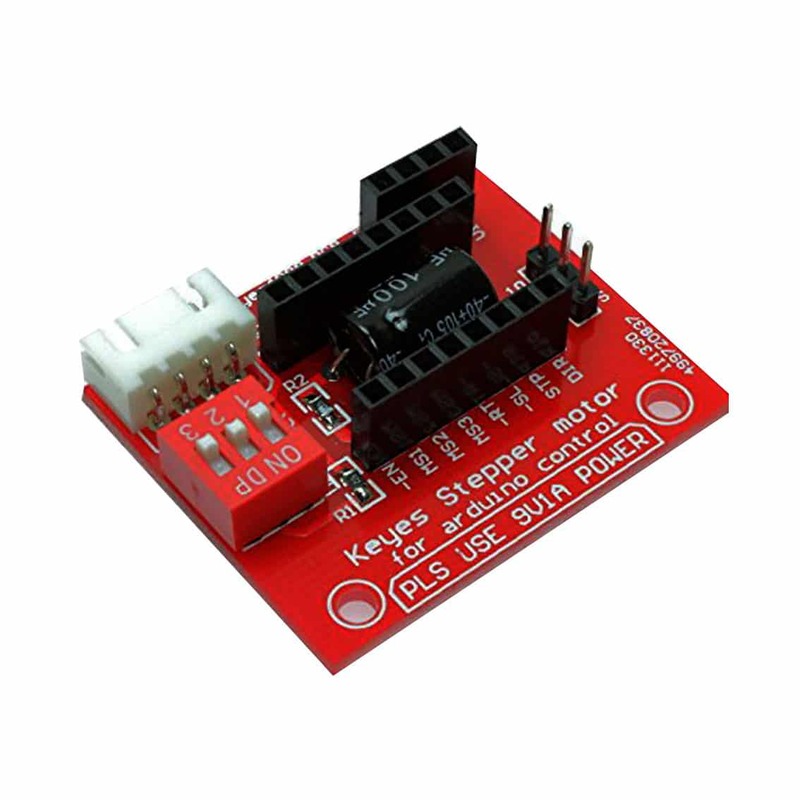 This item (HC3DPR0038) is a breakout adapter board for the low-cost A4988 stepper motor driver board. 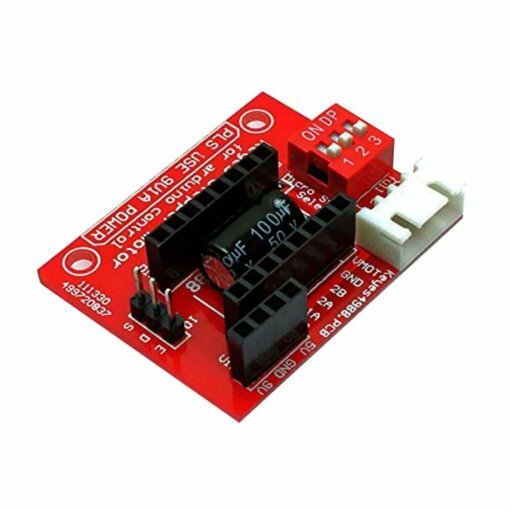 It has a number of connectors that allow for an easy interface of a stepper motor, power, and control signals to the A4988 driver module. This item (HC3DPR0038) is a breakout adapter board for the low-cost A4988 stepper motor driver board. It has a number of connectors that allow for an easy interface of a stepper motor, power, and control signals to the A4988 driver module. Header sockets are provided so that the driver module can be easily inserted and removed from the breakout board. Standard 0.1″ pitch headers provide a means of connecting power and control signals (enable, direction, and step/clock). 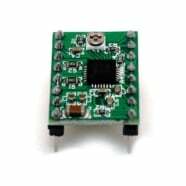 A 4-way socket provides a solderless connection for stepper motors with JST XHP-4 type connectors, or alternatively, pads are provided for soldering the motor wires directly to the breakout board. Finally, a set of 3 DIP switches allow for configuration of the microstep settings. For a compatible A4988 driver module please see item HCMODU0068.